Dashlane is one of the best password managers available in the market as of now. It have two versions, one is a Free version which have some feature restrictions and other is premium with all the features such as Secure account backup, Sync across all your devices, unlimited secure sharing, web access to passwords and priority support. 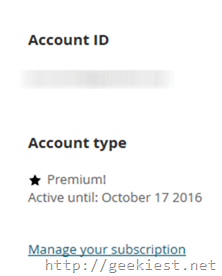 The premium version will cost you around $40 ($39.99) for an year. Dashlane password manager can Save your passwords, generate strong passwords and also can fill the password fields automatically for the ease of use. 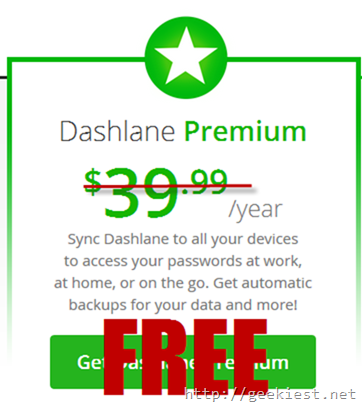 Appsumo is giving away a $40 worth premium license of dashlane for FREE (for all users). You can read more and get it from this link. You will NOT have to have a Creditcard to get this.